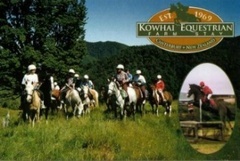 A unique farm stay for people interested in horse riding. Stays of up to 3 months available. Basic on farm cabins with all meals provided. What to see & do : Horse riding, mountain biking, hiking, fishing & scenic trips. 75km West of Christchurch city.